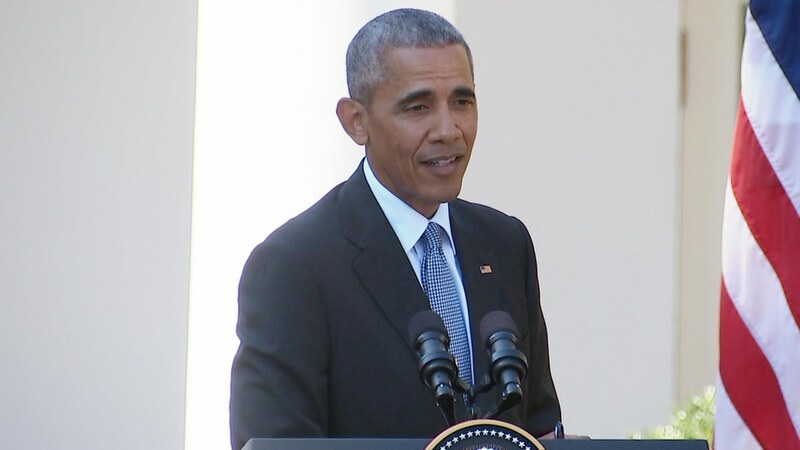 President Barack Obama on Tuesday downplayed Donald Trump's suggestion that November's election is "rigged," and said the GOP presidential nominee needs to toughen up. "I'd advise Mr. Trump to stop whining and try to go make his case to get votes," Obama said at a White House news conference alongside Italian Prime Minister Matteo Renzi. "If whenever things are going badly for you, you start blaming somebody else, then you don't have what it takes to be in this job," Obama continued. "There are a lot of time things don't go our way or my way … that's OK, you fight through it." An NBC News/Wall Street Journal poll released Sunday found Clinton with an 11-point lead nationally over Trump. Polling from most battleground states has also largely shown Clinton either maintaining or expanding her lead after the fallout from a recently released 2005 tape in which the GOP nominee is heard making lewd comments about women. 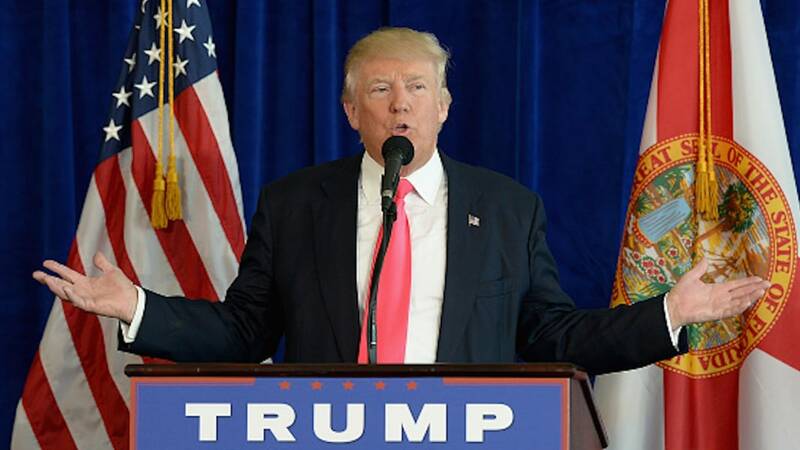 Trump tweeted Monday about the "rigged system" that will impact the polls, although he gave no specific evidence for how results could be tainted. He also suggested that people who are dead are still able to vote and that undocumented immigrants will cast ballots. Voter fraud, he added, is "very, very common." Trump’s GOP counterparts have largely dismissed talk of potentially rigged election, as have Republican officials in charge of administering elections. However, on the campaign trail on Monday, Pence asked supporters in Ohio to "do all you can to respectfully participate in the process and ensure the outcome" is one "we can all be proud of." Obama insisted that American elections can't be rigged because the process for voting for president is "so decentralized." "If Mr. Trump is leading by 10 to 15 points on Election Day and loses, then maybe he can raise some questions," Obama said on August 4. "That doesn't seem to be the case today." 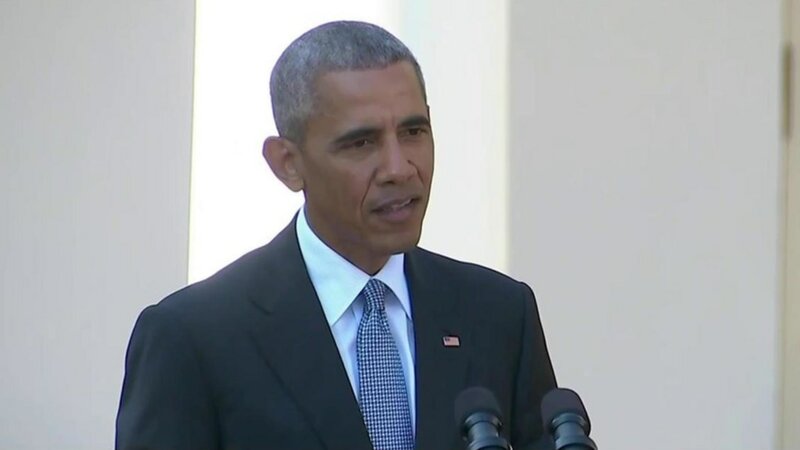 And although Obama on Tuesday said he would reserve more scathing remarks against Trump for the campaign trail, the president also knocked the GOP nominee for his, at times, flowery talk about Russian leader Vladimir Putin. “Mr. Trump’s continued flattery of Mr. Putin and the degree to which he models many of his policies and approaches to politics on Mr. Putin is unprecedented in American politics,” Obama said.